The Franklin & Marshall academic advising system has as its guiding principle the belief that academic advising is a natural component and extension of classroom teaching and, as such, is integral to student learning. Academic advising has the potential to promote critical thinking in students about their academic program and planning. Academic advising has the potential to instill in students a love of learning and a spirit of exploration. Academic advising has the potential to promote student learning and impact upon the educational experience of F&M students. Given these premises, faculty are central to the academic advising system at Franklin & Marshall. All tenure-track faculty with one year of service at the College assume academic advising responsibilities. 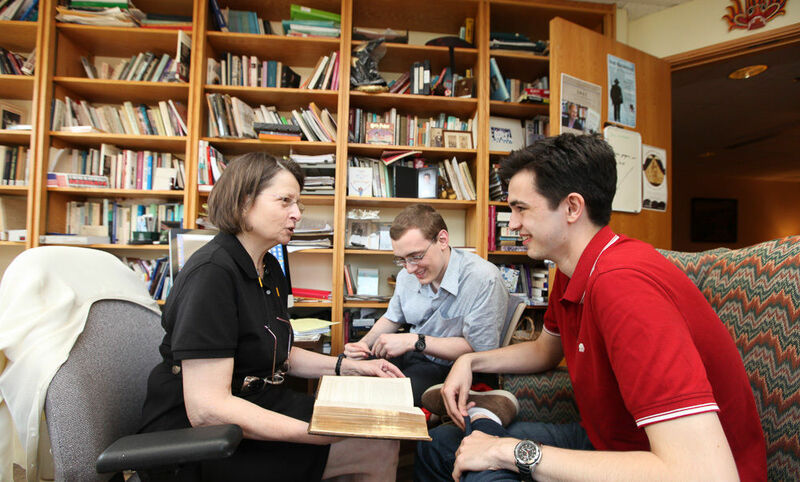 Reflecting the importance and centrality of advising at F&M, the faculty receive extensive support in serving students. The faculty's role in the advising system is supplemented and supported by the Dean's Office and the Registrar's Office, particularly in the areas of advisee assignments, new adviser orientation, Beginnings and the development of first-year schedules, new student academic orientation, interventions with students in academic difficulty, and serving as an advising resource for faculty.